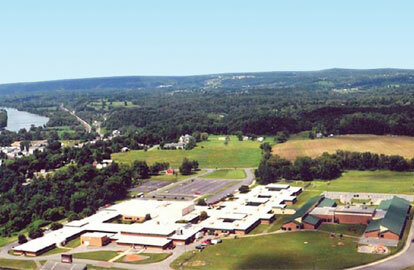 Fonda-Fultonville High School is located in the foothills of the Adirondack Mountains of upstate New York. It traces its roots back to the late 1700s when students in both Fonda and Fultonville, NY were educated in privately-owned brick buildings. Today, over 500 students and faculty utilize the modern campus. The school was experiencing a number of network outages, making it difficult for students and faculty to complete their daily work. To make things worse, the IT department had to call for support and wait a day or two before their issue was addressed. Without the ability to access their network infrastructure, the school was unable to identify smaller problems before they became widespread outages. The district also tried putting home grade wireless routers in halls and rooms with poor results. With a lack of technical support and an unreliable system, the school knew they needed to change to ensure their district could keep pace with the latest technology. After searching for a network provider, Deep Blue Communications was selected to update the wireless technology for the entire campus. Deep Blue conducted a site survey, generating a heat map of the current WiFi network to identify problem areas. They also evaluated building layout and construction materials to anticipate any installation difficulties, avoid potential delays and determine optimal access point placement to ensure consistent coverage and minimize interference. To deliver a network that was flexible, reliable and robust enough to meet the school’s needs, Deep Blue installed the Ruckus Zone Director and InterMapper Web Server. Ruckus Smart/OS uses a highly-intuitive Web user interface to simplify configuration, making administration of the entire WLAN a breeze within a single, easy-to-use platform that was simple for the users to learn. In order to make network monitoring easier for the school’s IT department, Deep Blue utilized InterMapper Web Server, allowing the staff to access and monitor the network – and all devices on the network – from any location. InterMapper alerts staff to email, web, or directory server problems before they become a larger issue and staff can see exactly where each access point or switch is located, and the current status of each. Fonda-Fultonville couldn’t be happier with the results. Not only did the school district save $80,000, they finally have a network they can rely on.